If you follow me on twitter you might of seen me tweet that I finally got a Michael Kors watch yesterday and I am so excited about it I wanted to blog about it right away! 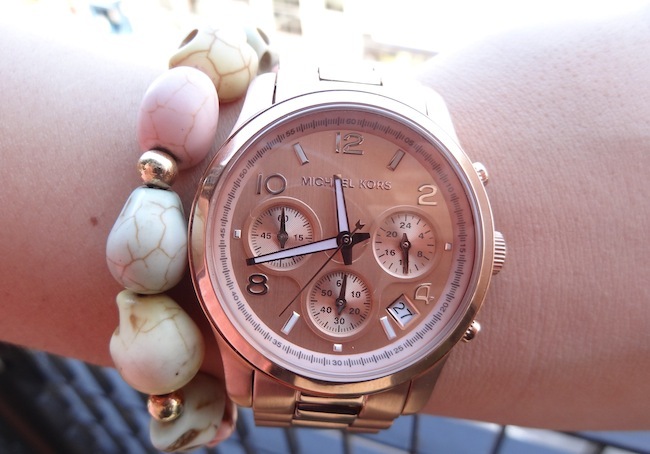 I have wanted a Michael Kors watch for well over a year now they seem to be quite the kult watch with bloggers and 'fashionable' people but there are just so many to choose from! I mean do you want rose gold, plain gold, silver, white with gold, white with rose gold I mean the list goes on and on! After eyeing them up online for ages and picking a different one each time I never took the plunge until I saw this watch and just knew it was the one for me ( that sounds like some sort of love affair haha.) 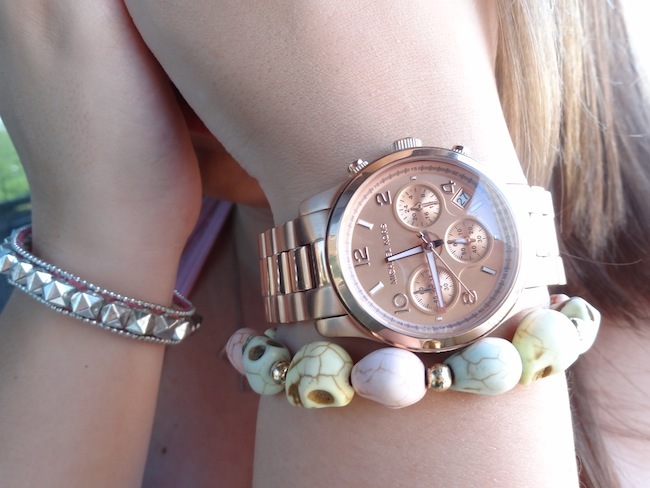 Anyway I got a bit of birthday money and my boyfriend put the rest in so this is really my birthday present from him and I absolutely love it :) I went for the MK-5128 which is rose gold with a rose gold face. It is the perfect size for my wrist as I do love big watches but I do have fairly small wrists so some just look silly on me, and this tone of rose gold is gorgeous, I was looking at other rose gold watches from different brands and a few looked more brassy than rose gold. I know I will wear this watch so much as it is smart enough to wear to work but also cool and fashionable enough to wear at the weekend even if it is a casual outfit as it instantly smartens it up. 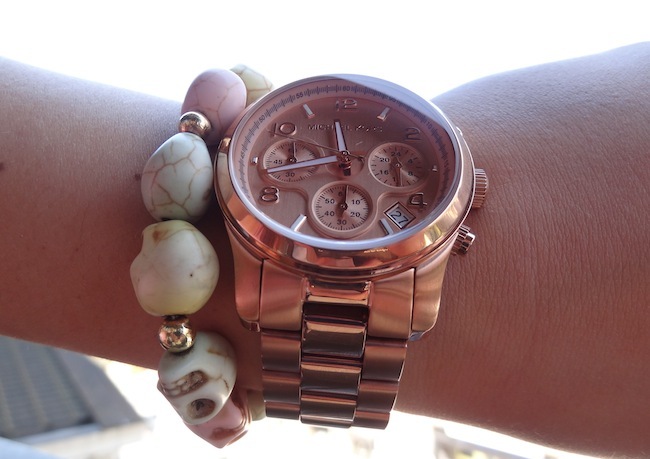 My watch had its first day out today and I will be showing you in an OOTD which will be soon, it looks so good teamed with this pastel colour topshop skull bracelet, this will be my go to combo! I am now 20 wah no longer a teenager therefore I now have nothing to blame the fact I oversleep somethings or can moody on! I had such a lovely birthday and was so lucky as It was a boiling hot day so my boyfriend and I headed off to Hyde Park to soak up the sunshine, and dip our feet in Diana's memorial fountain. I know these photos aren't the most professional as I don't even have shoes on in the first photo but I was enjoying my day way to much to try and pose in the heat for proper snaps but I really wanted to show you this outfit as I loved it :) I love how the cream lace looks with the denim shirt and it also gave me the option of later on in the day when we went on the rowing boats to take it off and soak up some rays on the water. Also what do you think of my nails? This is from the Nails Inc sprinkle collection and is called Pudding Lane*, I thought as it was my birthday it is only appropriate to have sprinkle looking nails, and I love how it looks even though I would only wear it for special occassions! 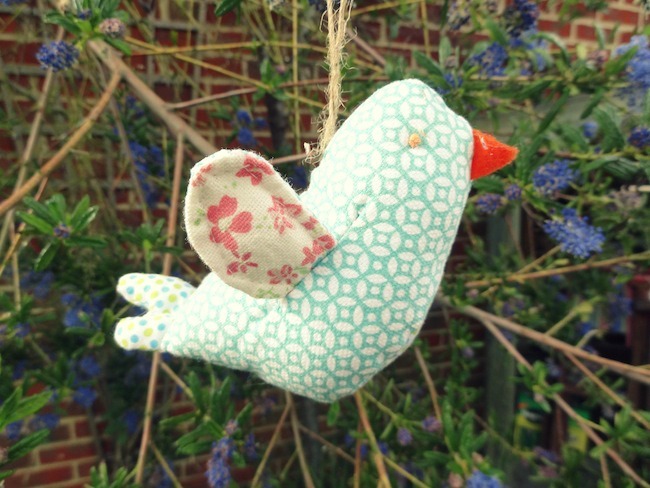 I hope you are all enjoying this gorgeous weather what have you been doing? Up until about 2 months ago I did not use a foundation primer. After realising my days were becoming longer (boo) I thought my foundation really needed some more staying power, and also there was a lot of talk about the benefit porefessional primer at the time so I thought I would give it ago. The main thing I’m sure like many others that drew me to Benefit’s porefessional was the fact it said it can reduce pores and I think everyone wants help with that! Now my pores are by no means crater size but the pores on my cheeks around that time had got more noticeable so I thought this could really help. The porefessional is tinted as you can see in the photo above which I wasn’t expecting and is a liquid but when you apply it to your face and rub it is it feels really odd a bit like rubber (eraser) pieces are all over your face. 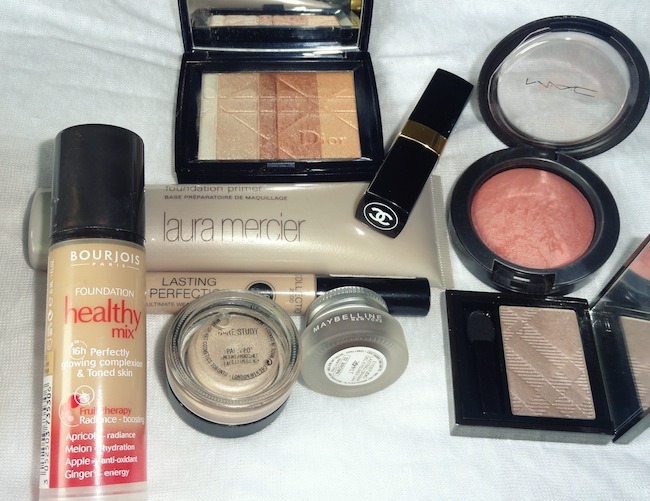 Saying that when used with a foundation that works for my skin such as the Bourjois Paris healthy mix and Chanel Vitalumiere Aqua it does make my foundation last a bit longer. Also one thing I will just put out there is, that I can’t help but think the claim to reduce your pores is actually a mental thing. When you think something is doing a certain job you notice a change/ realise it isn’t as bad as you first think. I didn’t notice any change in reducing the size of my pores, yes it did slightly cover them but my foundation did a better job at it. 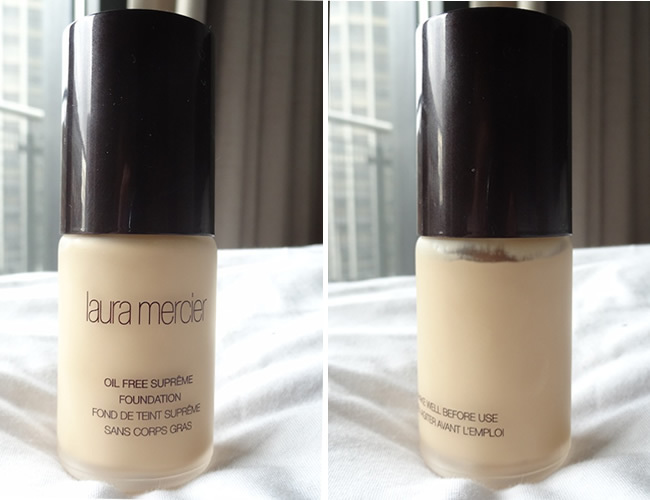 About 2 weeks after purchasing the porefessional I then bought the Laura Mercier primer as it was 100% sold to me by the nice sales assistant in Space NK, who made me believe that I needed this primer! First off this one smells amazing, it smells a bit like sweets but in a perfumey way not a candy shop kind of way. 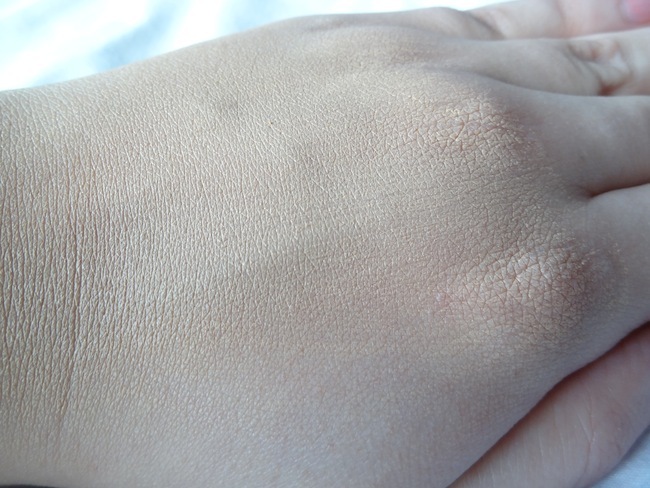 This is a more watery based primer and you can see above it is not tinted. When applying this primer it just feels like you are rubbing a light moisturiser onto your face but I have noticed that It is easy to get carried away with this primer and apply way too much ending up with my face looking drenched haha! This primer makes my Bourjois Paris healthy mix foundation (FYI favourite foundation at the moment) last a good 12 hours, it stays in place and does not separate at all. 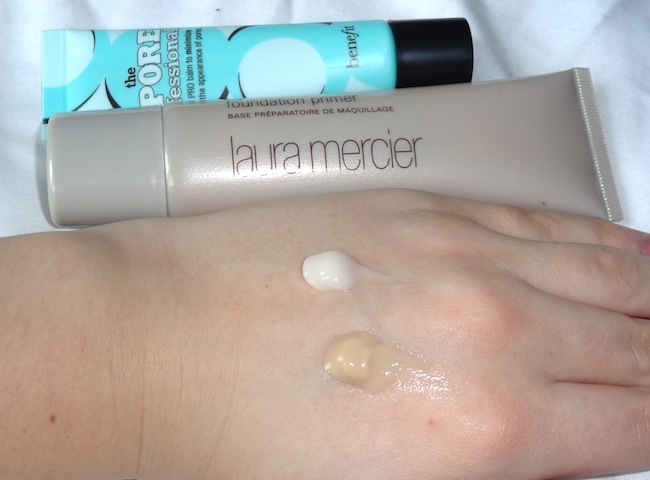 Even though the Laura Mercier primer is £28 and the porefessional £23.50 which are both very expensive for a primer you get a lot more in the LM (50ml) than the Benefit one (22ml). 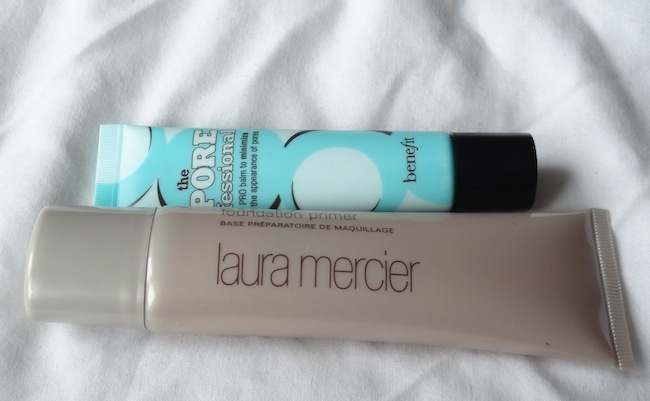 I do love both of these primers and can’t believe I didn’t used to use a primer but if I was to repurchase one it would be the Laura Mercier one as I found this primer to work better with my skin, and slightly better value for money.Have you tried either of these primers? What do you think? I am so glad it is the weekend it feels like this weekend has been a long time coming! 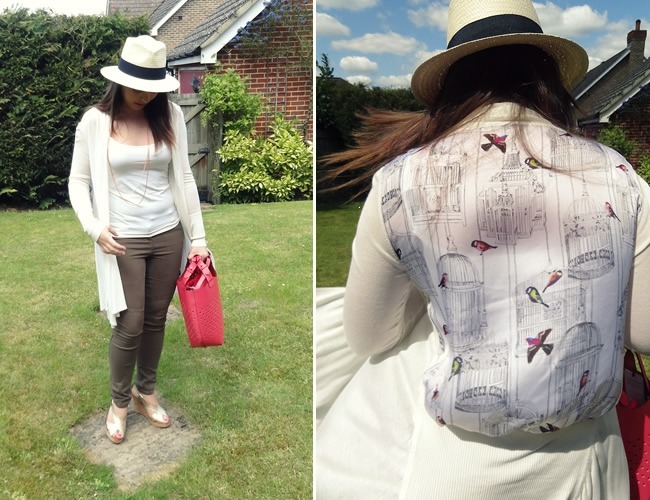 It also means that it is only now 4 days until my birthday eeek :) I hope you are all having a lovely weekend, I hear it is supposed to be sunny next week so hopefully we can all get the summer dresses out at long last! Anyway onto the post this is my first proper FOTD as this is the post I always feel the most shy about as I fear people really don't want to see a whole picture of my mug on their computer screens. But I bit the bullet today as I wanted to show you what Burberry Rosewood looks like on and my current 'face' as I have discovered a few things from my stash such as the chanel lipstick and got a new foundation which I am loving it is a billion times better than the Laura Mercier one that I mentioned here. 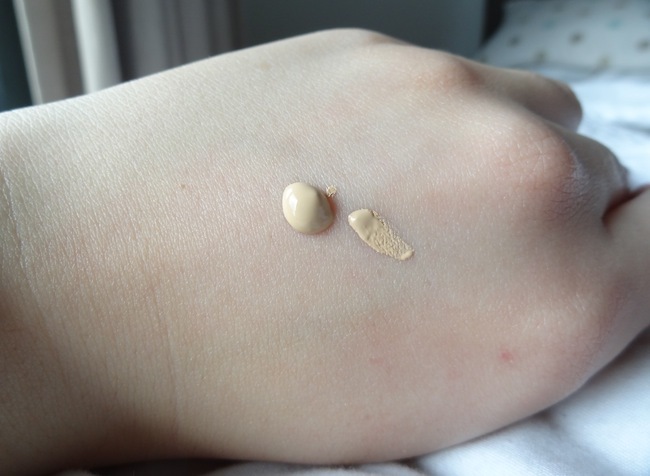 Also this is major I now wear concealer :O I have gone so long without needing it as luckily I don't have dark eyes but recently I need it to cover a few blemishes and it really is as good as people say! I hope you do find this post interesting and let me know of what you think of Burberry Rosewood, think it is something you would wear? This weeks product of the week is my new Essie polish- Absolutely Shore. I'm sure you have heard a lot about it from the lovely Anna as that is how I heard about and decided I needed it in my life! It is unlike any other colour I personally have in my nail polish collection, and every time I saw it on other people I admired it. It is a gorgeous pastel grey /turquoise colour, which is less bright and in your face compared to the famous Mint Candy Apple. For me this polish is the perfect combination of a pop of fun colour but still being subtle enough to wear on week days as I'm sure you have heard me saying this many times but I really can't get away with neon colours on my nails Monday-Friday. I got mine from beautybay for £8.50 which means it does have the thinner brushed compared to the ones realised in the Superdrug/Boots line which is one of its down falls. The thinner brush does make application more fiddly and means it takes about 3-4 coats to be opaque. With this polish you need time and patience to achieve a polished look as due to the thinner brush if you try to rush it can look streaky which is never good! Saying that it is totally worth it and I think this nail polish would look so good with Deborah Lippmann's Shake Your Groove Thang, I really want this polish but the price stops me me every time. Sorry the first photo doesn't represent the colour as well as the last but it is one of those colours which is hard to photograph! What do you think of Absolutely Shore? Do you think it is worth the time? 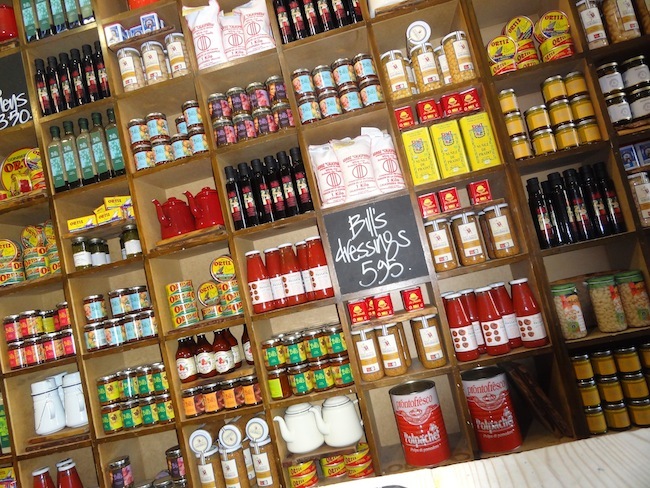 Today's post is different to my usual but I just thought I really can't not mention Bill's and this may actually be my first proper lifestyle post! On Sunday after a night out me and my best friend went off to Brighton for some retail therapy and more importantly some Lunch. 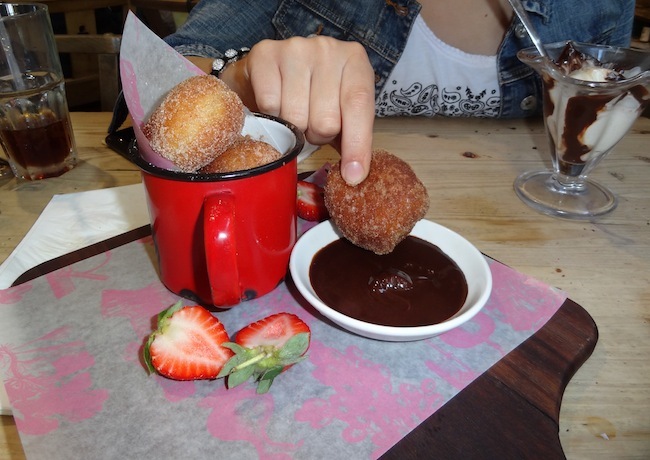 We went straight to Bill's in the lanes for a full on 3 course meal we had no shame, and really were Ladies at lunch ;). We had actually just missed the breakfast menu (FYI it does end at 1pm) but never mind there was still lots to choose from. I went for the Halloumi and Hummus burger with rocket and chilli in it with some cheeky french fries, and it was quite literally to die for! 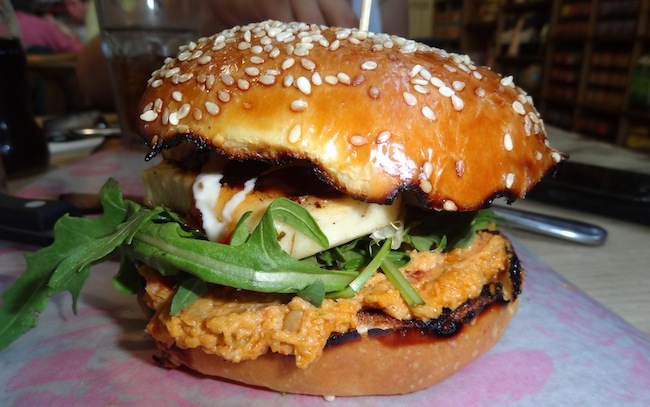 My mouth is watering as I type this and this burger has been on my mind since, and I'm not one for burgers as I find them too messy and a pain but this is amazing. 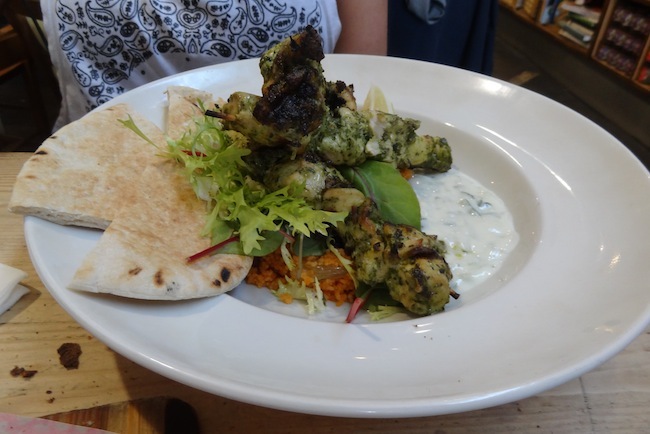 Hannah's chargrilled chicken skewers with lemon cous cous, tatziki and pitta bread I tried this for research purposes obviously and I can confirm it is delicious as well! 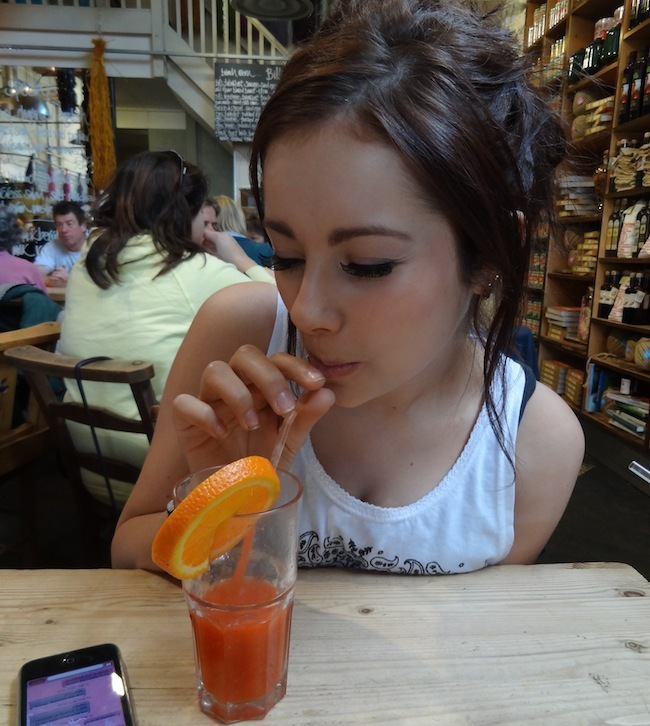 Hannah enjoying a lovely raspberry,peach and mango juice this drink was so nice if I wasn't so lazy I would try making this myself! 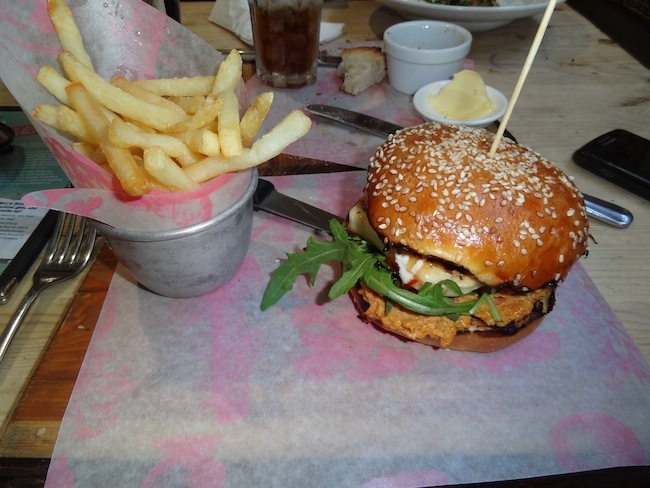 I really am not sure why I haven't been to Bill's more but after Sunday I have been planning a trip to the Covent Garden one as that is the nearest to my home in London, I may try something else but that Halloumi burger was too die for so probably not! You can check out the locations here and I hope for your sake there is one near you! haha Have you been to Bill's before? If so what did you order? 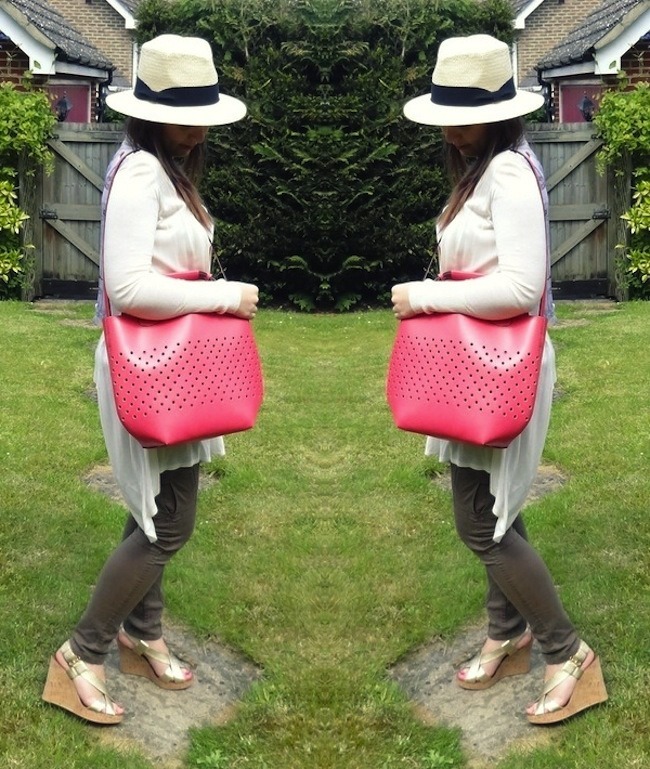 I know it is Tuesday but this was what I wore on Saturday day even though it ended up that I got all dressed up with no where to go as my plans got cancelled :( As the sun came out I got my new Zara bag out (even though I'm not meant to have it until the 23rd) and I really wanted it to be the center of the outfit so kept everything else neutral. 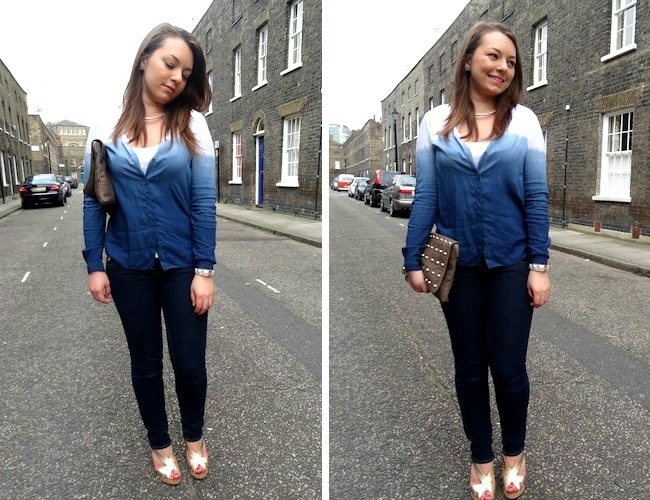 I forgot I had these jeans until I saw a similar pair in Topshop so I blew the dust off them and wore them with my favourite cardigan from Ted Baker. I got this cardigan last summer and it is so soft and floaty and I love the silk back with the birds on it :). How was your weekend? I hope you are having a lovely weekend and enjoying that big round yellow thing in the sky which we haven't seen in so long! 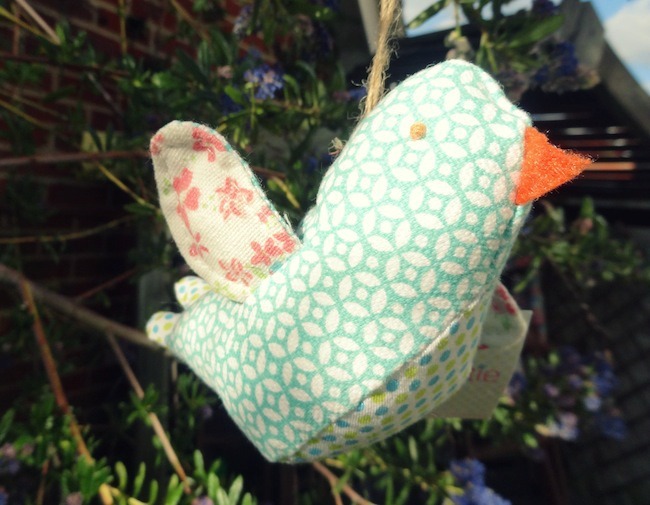 Now this product is one I am so excited about and so glad that it is finally mine! If you follow me on twitter you will know that on Thursday I headed over to the new John Lewis beauty hall on Oxford Street and all I can say is WOW. It is seriously amazing everything you need is under one roof and in my eyes worth the £7 million they forked out, it is how I imagine heaven but with a few more fluffy clouds and puppies around :) haha. If you haven't already go check it out but go around pay day as I guarantee there will be a lot you want! 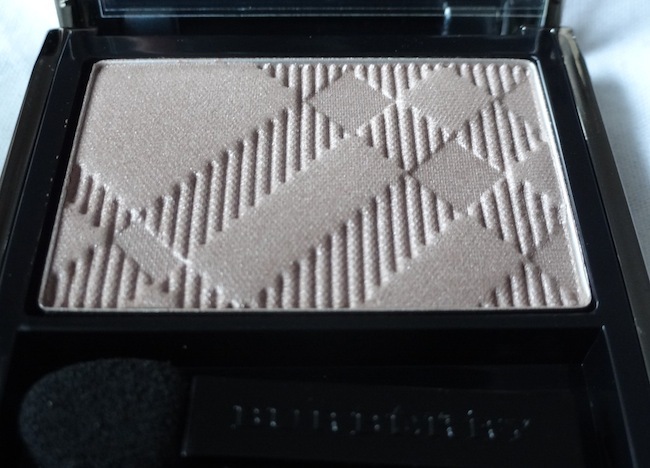 I headed straight to the Burberry counter to check out the make up as I have heard such great things. There was one eyeshadow in particular I have lusted after for nearly a year and that is Rosewood, and boy it was worth the wait it is everything I hoped it would be. 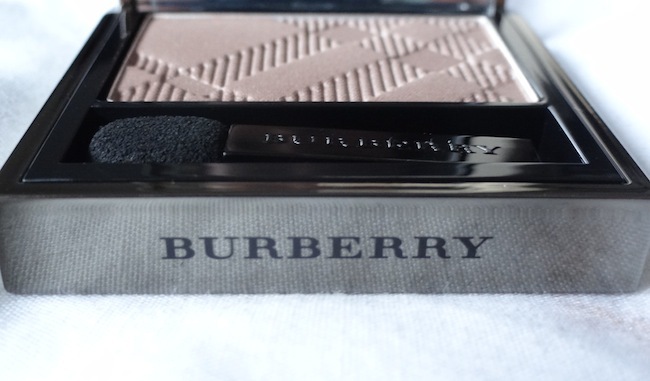 First off the packaging is beautiful, a sturdy mirrored compact with the Burberry check subtly printed on it with a little pouch but in all honestly it is one of those products you want on display as it is so pretty. I'm sure this is no suprise to you but Rosewood is a taupe colour and is quite similar to my favourite eyeshadow at the moment Satin Taupe but Rosewood has pink undertones and is sheerer. 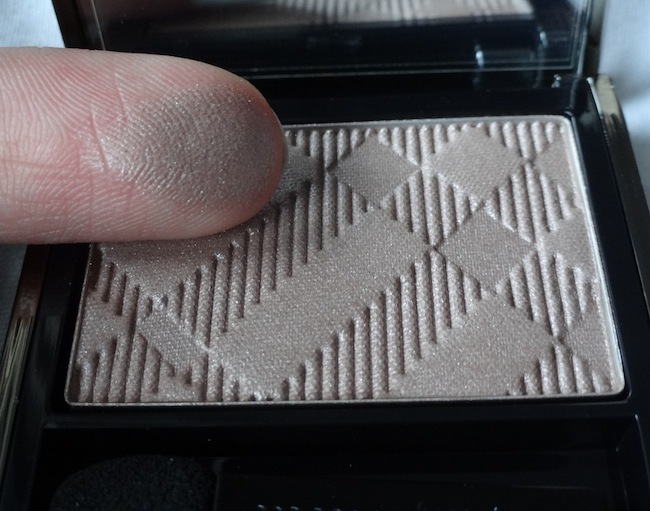 This eyeshadow is gorgeous it is so soft and easy to blend, it is very buildable you can wear it as just a subtle wash of colour over the lids, or build it up so it is a bit darker. I wore this with my Mac paint point and it lasted a good 8 hours before it started to crease a bit. 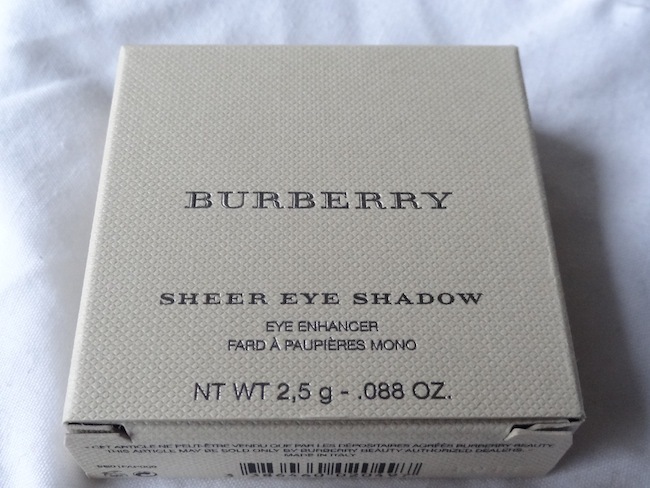 It is pricey at £22.50 and is a luxury item but I love it you can see the other colours here I have my eye on Midnight plum next :) Have you tried any make up from Burberry? 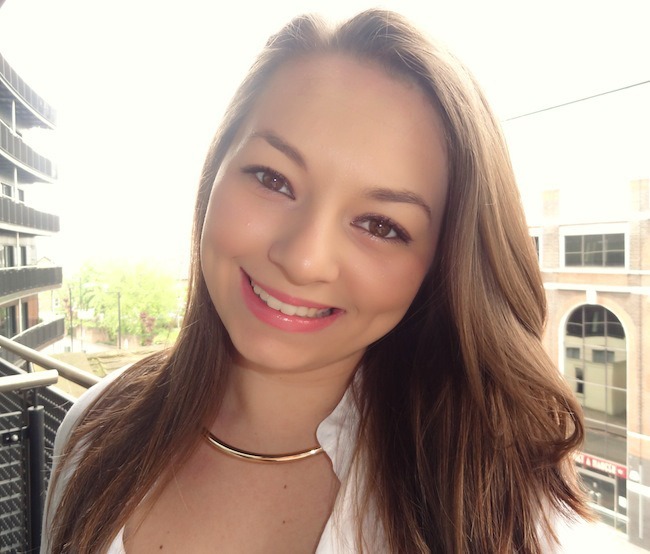 Please welcome the latest member to my Mac lipstick collection, Sail La Vie!. 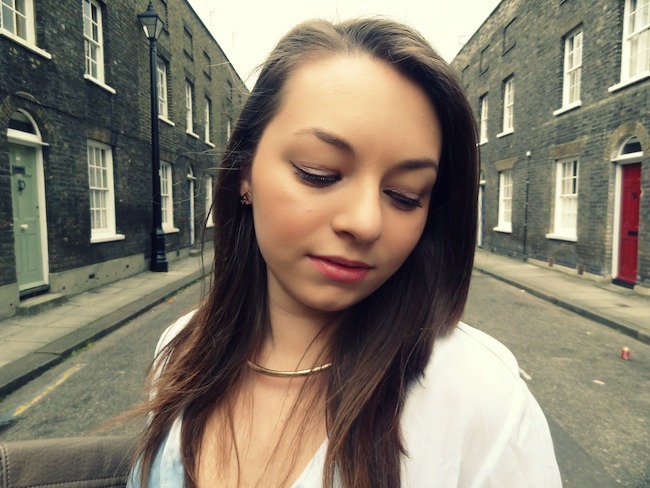 Sail La Vie is from the latest Hey Sailor! Collection and I will confess one of the main reasons I bought this lipstick was because of the gorgeous packaging, I am a sucker for limited edition packaging! I haven’t been that interested in a Mac collection for a couple of months now, but this one really caught my eye due to Mac’s attention to detail such as the cute nautical packaging and the nautical theme names, anyway onto the lipstick itself! I bought this lipstick completely blind, as I couldn’t find any reviews online so had to trust the colours on the Mac website and I took the plunge and ordered Sail La Vie as this was the only lipstick that really stood out to me. Sail La Vie is described as a mid-tone orange which I agree with, but on me it is very vibrant where as I have seen on some people it leans more towards a burnt-orange. This lipstick is gorgeous and creamy and really does glide on easily; also even though it is a bright lipstick it doesn’t highlight any flaws on your lips such as dryness which I find some bright lipsticks do, Mac Nicki Minaj Viva Glam I am looking at you! 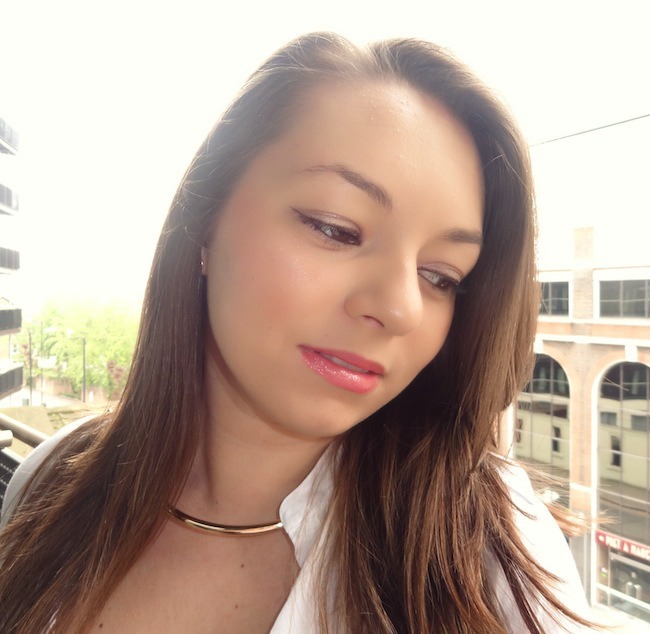 Overall I think this is a really nice lipstick and will look gorgeous when there is a bit more sunshine out, I am going to make sure this summer I do start wearing bright lipsticks more. This lipstick is limited edition and you can buy it here. Have any of you bought anything from the Hey Sailor! Collection?